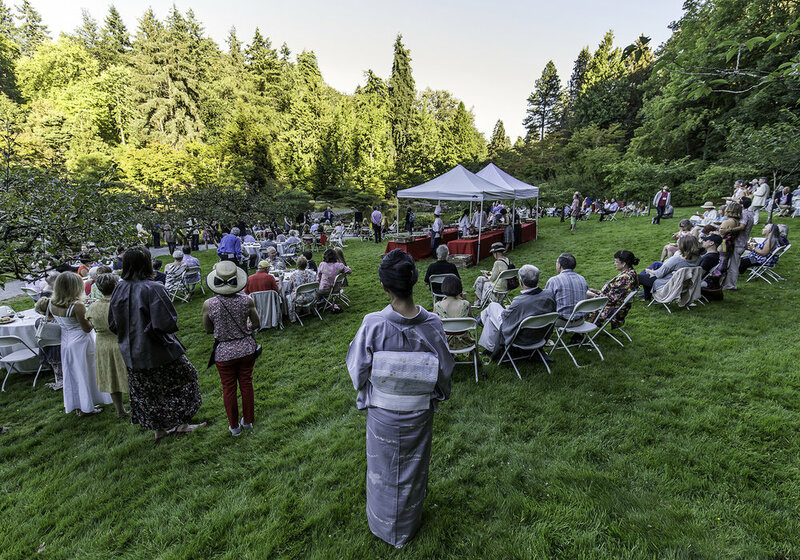 Thank you so much to everyone who joined us for Garden Party: A Festival in the Evening Sun, our biennial fundraiser for the Seattle Japanese Garden! 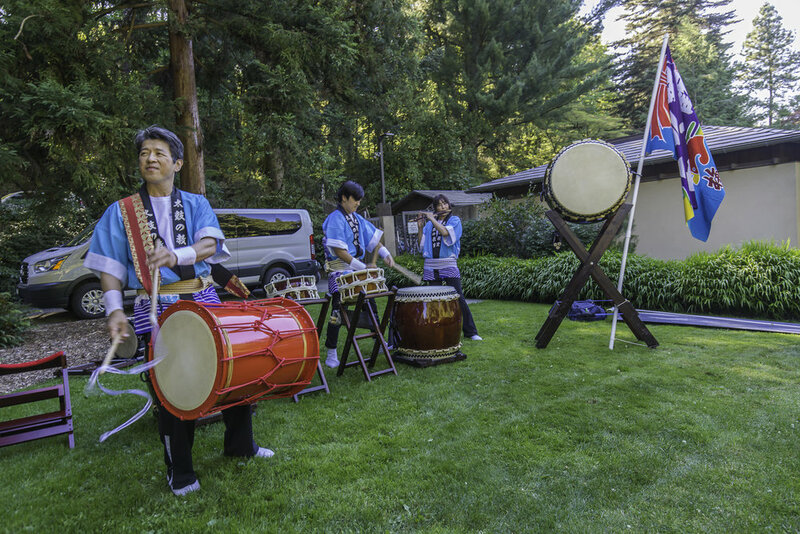 It was a lovely event featuring delicious Japanese summer festival food, a jazz trio featuring both American and Japanese favorites, local sake from Tahoma Fuji Sake, and much more. There was even a special surprise during the evening --a set of Bon Odori dancers performing in the garden! Bon Odori dancers in the garden. 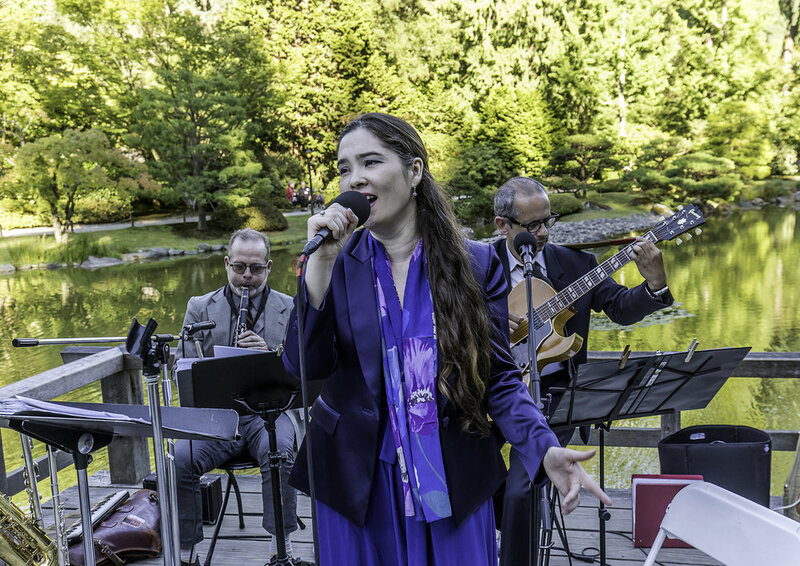 The party was a great success and raised funds for public programming such Free First Thursdays and Family Saturdays, and for important winter maintenance projects. Thanks to all who supported the garden on this lovely evening!